A blog about IP video security solution. Use unusual security camera to get solid evidence in burglary scenes. Burglary also names as home invasion. The unlawful enters with the intent to commit the theft. The owner return home and find the door was open, property were missing. Usually they call the police officer. Without witness or useful evidence, the case may take weeks even months with no luck. Install security camera is the common practices to collect evidence in case burglary may happen. However, the burglary can easily make out your camera. Then find the way to bypass your security system. The visible camera is also signaled of 'valuables inside' for burglars. What can we have rather than visible security camera. 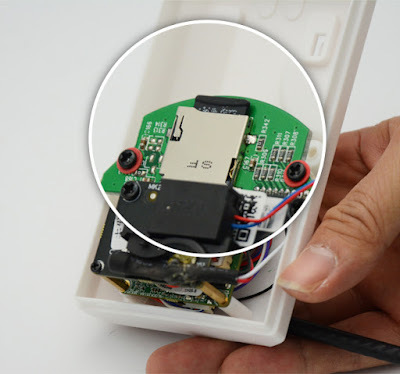 The below video demonstrates how to deploy the hidden camera inside PIR sensor. Without knowing the camera, it can get solid and hard evidence in burglary senses. The camera can even work with external invisible infrared to light up the sense at night. 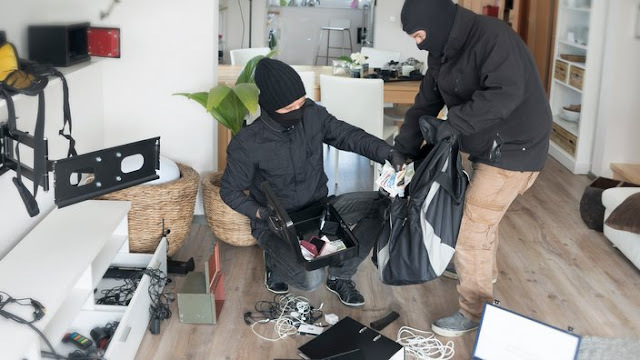 Most of the burglars prefer break in at noon or after lunch, because most of the owner should be gone or the kids still stay at school by then. Secure the lock strike plate, close the windows are the first steps to improve your home security. However the burglars may still find the way to break in anyway. Install a security camera is the second defense line for burglary. Choose an unusual IP based hidden camera rather than regular CCTV camera. The burglars could easily make out the visible CCTV camera. Avoiding the shooting direction or keep their head down, they will beat your camera. Visible cameras are also signaled ‘there were valuables inside’ in burglar’s mind. After breaking in, they will relax their vigilance and start looking for value stuff. That is the big chance for hidden camera to record the proof of burglary unexpectedly. Take a look at the infographic and learn what IP based hidden camera is capable today. Choose a suitable hidden camera to improve your home security. Connect your Hidden Camera with Phone App. Can we watch our hidden camera on smart phone or iPad? This video takes PIR sensor hidden camera as example and shows you how to connect the hidden camera to your home network. After that, you can watch the live and view the footage when you are on vacation or lying in the bed at mid-night. The hidden camera is powerful tools to improve your home security. Choose the IP-based hidden camera rather than low resolution spy camera if you want to monitor your home online. So spend a few minutes to learn the general process. Do you know your CCTV system may not be working as you expect when the burglars break in? CCTV surveillance system has reached HD level in these few years. Most of the cameras are able to capture high definition image. 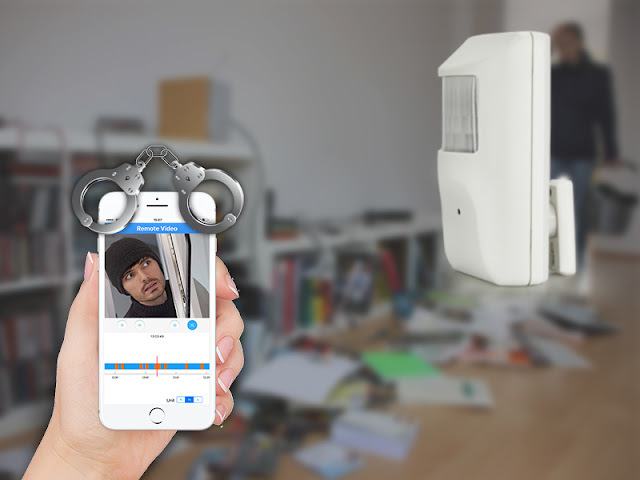 However, the burglars also can bypass your cameras easily starting from avoiding the shooting direction. Simple keep the head down, the camera could miss the facial detail. In the home break-in case, the burglars will even find your recorder and take away all the footage. Burglars usually have plenty of times after break-in. Deploying a hidden camera can improve your home security dramatically. The hidden camera is hidden somewhere in your house without drawing attention. It creates response time for owner to make proactive action plan after the burglars break in. Even you have installed the CCTV surveillance system, it still has significant value to add some hidden cameras. Keeping the hidden camera separately from your main system is necessarily in case the burglars may locate the recorder eventually. The hidden camera is your second insurance policy after the main system is compromised. How to choose hidden camera today? Here some tips to know after IP technology adds on. 1. Maintain Covert - Hidden cameras always hide inside some objects at your home, like the radio clock, Flower, PIR sensor. You will need to select the product which is easy to blend into your environment. The shooting direction is the next thing to be concerned. Most of the hidden camera doesn't allow adjusting the shooting direction. If you install the camera on too high or too low position, it will only capture the head or foot instead of the facial detail, like radio clock. The PIR sensor hidden camera is a good solution for home security. PIR sensor is always installed behind the door, similar as CCTV camera. More important, when the burglars see the PIR sensor, they will think it has alarm system in this house and withdraw. Without knowing camera hidden inside, camera hidden inside PIR sensor has high possibility to catch burglar's facial detail. 2. Your hidden camera should be able to be working 24/7 just like the regular CCTV camera if you want to improve your home security instead of spying the nanny. Install the hardwire power if possible. It has wire free hidden camera with battery in the market. These cameras will wake up when the built-in sensor detect the people moving around, otherwise the camera just keeps 'sleeping'. This design is used to save the battery power. However, if this camera is deployed in your living room, you are walking around everyday. The camera could lose battery pretty soon, because the camera needs to keep starting up/off. Later you need to deal with the 'no power' issue. Moreover checking this camera remotely with app maybe not possible some times. The camera could be sleeping when you want to see it unless you wake it up. 3. Select the hidden camera with email notification. 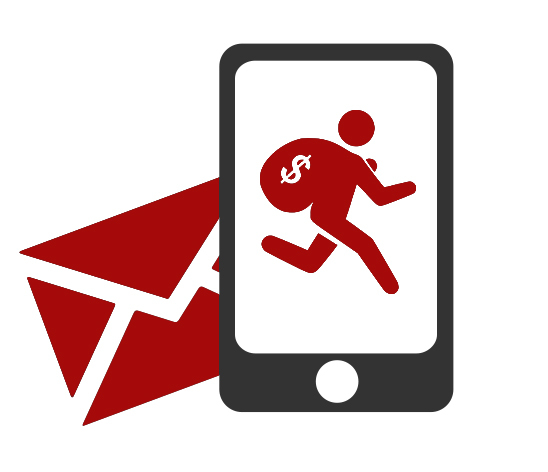 When the camera detects the object, it will send the owner an email with snapshot. The owner can login the camera and watch the live and footage immediately. Like the regular CCTV camera, the hidden camera will pre-record several seconds footage before it detects the object, what you see is the useful footage, not the video after burglar left. That is why the camera needs to be always awake, not sleeping. 4. Get the Night vision for your hidden camera. You may want to check live thru your smart phone or iPad in your bedroom when you hear the noise at night. The night vision is required and it has to be invisible. However, the power of invisible Infrared is weak, only around 50-60% power of visible Infrared. Built the small Infrared LEDs around the camera will not generate the fair image. One of the solutions is using external high power invisible illuminator to light up the whole area. 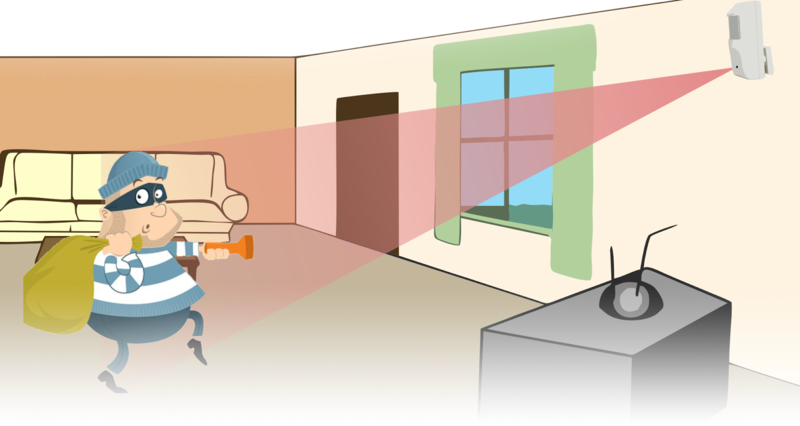 Separating the invisible LEDs also protects the hidden camera from being detected. The invisible Infrared still can be easily discovered by a phone's camera. 5. Where to record. Both NVR and PC computer can record the footage, but the on-board TF memory recording is the simplest option. It doesn't rely on the external system. The camera (model:2643-51) is self-recording. You will be able to check the footage anytime anywhere once the camera connects to your home network thru Wifi. Most of the hidden camera also allows recycling recording, so you don't need to worry about when the memory card is full, it will start from the beginning. WIFI IP camera is an easy-to-use device, especially for the installation without construction between the camera and the recorder. The WIFI cameras eliminate the cabling over sky or underground. However, WIFI signal has limited range of distance. Understanding what can strengthen and weaken a WIFI signal will help you get a good quality of surveillance video. The following solutions can tell how to get the better WIFI signal. WIFI can spread in a certain range in the open area, up to 180 meters, but if the signal need to goes through a wall before arriving at the router, the WIFI signal will drop 40-50%. Pass two walls make the signal even worse. Fortunately, here we have a couple of advices may help. Choose the wire connection, such as PoE solution in CCTV surveillance project instead of WIFI unless the cabling is difficult. WIFI need an open area. Avoid the strong obstacles between the camera and WIFI router is the golden rule. As we known, WIFI signal will drop down seriously after it passes through the obstacles. Get rid of the obstacles must be considered no matter for indoor or outdoor installation. 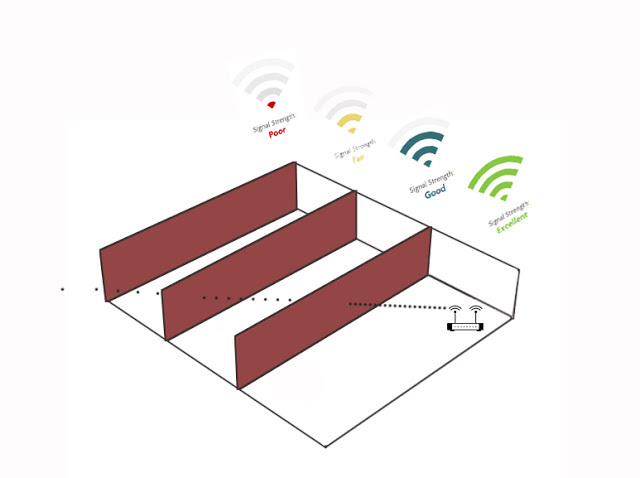 WIFI can provide reliable connection in the open area, but not over obstacles. WIFI Bridge may be a good choice if the distance is too far from the WIFI router. The bridge can extend the signal up to 20 KM. Normally the WIFI bridge work in pair. The receiver needs to face to the transmitter. 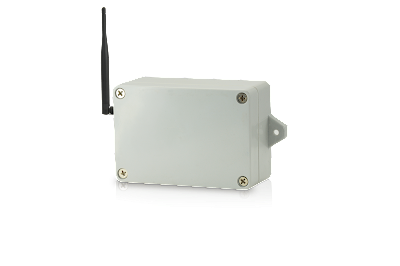 Wireless bridge is used for outdoor, mainly connecting two networks, but we can replace one side to our IP camera and reach long wireless distance. If the large obstacle is unavoidable, we will need a WIFI repeater. It is used to extend the WIFI network coverage. The repeater receives the signal from the router and transmits it further. In the CCTV installation, the WIFI repeater can make the signal pass around the obstacles and reach the router. If the above tips can’t deliver the satisfied result, we can consider the dedicated WIFI camera NVR. The dedicated camera and NVR has better signal range than WIFI camera and router solution. More important, we can place the WIFI NVR to the best position to receive the signal from all WIFI cameras. In the open area like the factory or farm, dedicated WIFI camera NVR can take care of the problem of dealing with the sky cabling. The WIFI receiver device can be installed outdoor, receives video from different WIFI IP cameras and bring the video back to a router or NVR via cable connection. The wall penetration is done with the cable connection instead of WIFI. If you ask me whether we should choose WIFI system over PoE solution in CCTV surveillance project, I would say don't consider the WIFI unless wire is not the good option. "The wireless is not stable", people always say to WIFI. Technically, it is not about the 'stable'. The WIFI signal will drop down 30-50 % once it penetrates a wall. If the signal needs to go through several walls in the scene, the WIFI cameras could face serious signal dropping. Another thing is the WIFI camera still requires power, it is not really wireless. What is the value of WIFI camera NVR? Firstly let's take a look at the picture below. The red spot is the place we would like to install CCTV camera. The blue area is the empty without facility. With PoE solution, we would have to be cabling over the sky in the blue area. Those make the installation difficult and ugly. In the open area like the farm or factory, we always could see the similar sense. The cables have to either go over the sky or underground. The WIFI camera NVR could provide better solution in this sense. The WIFI camera doesn't need to be cabling back to the NVR, so no need to deal with the sky cabling here. The transmission distance is not the problem. The WIFI can reach 120 meters distance in open area. The challenge is the wall. If we place the WIFI NVR inside the building, the signal needs to penetrate at least one, even two walls before arriving at the NVR. The signal could be dropping sharply. We can use the WIFI receiver to settle this issue. The WIFI receiver is the device which can install outside, receive the video from different WIFI IP cameras and return back to an NVR with cable connection. After we deploy the WIFI receiver, the wall penetration takes a cable connection instead of wireless signal. The power is not the issue in this sense, each building has available power. The key to deploy the WIFI camera NVR is trying everything possible to avoid the WIFI penetration over the wall. In the above case, we use a receiver. Can we simply move the WIFI NVR outsider to receive the signal? It is properly not a good idea. The hard driver will turn into issue once we move the recorder outdoor. The limited operation temperature of hard driver is around 55 degree. Data could be losing, even shorten use life when the temperature rise up to the limit. That is why we can see it always has cooling system in the data center to control temperature for hard drive. With sunshine, the temperature will arrive at 55 degree very quickly inside the NVR. In the practical application, we can even integrate both WIFI and PoE with a receiver. The NVR will connect all the cameras in the network, both from wire or PoE. WIFI camera NVR can eliminate the cabling deployment in the open area, just try to avoid wall penetrate. The solution will be working fine. The DVR/NVR is the primary devices people use to record footage from CCTV video camera. Sometime, video just got missing when we try to look back the criminal sense. Do you know we also can have secondary online backup your CCTV video in case the primary recording system go failed. There are three ways to play. The camera can keep recording on board as well as streaming back to your NVR recorder. Edge recording requires TF memory card installed in each of the cameras. As the TF memory card has limited storage, like 128G, we need to configure a recording plan to achieve longer recording time in the camera. The motion recording is the most common practical implement. Initial the recording only when the motion is detected on the scene. It can double up even triple up the recording time. The new technology H.264+ compression can help to save 30-40 percentage storage space from the TF memory card. It isolates the background from the sense and receives high compression rate without compromised the image quality. If both setup properly, 128G TF memory card will record over 30 days footage on board. TF memory card is the cost effective and reliable solution to backup the video online. Each of the camera is recording independently. Unless the whole system goes failed, you will have footage on some specific cameras. FTP upload requires an online FTP server. Most of the storage devices such as NAS has provided you a FTP server. You can either upload footage from the IP camera or the NVR. One thing important, the ftp upload function normally requires alarm event as trigger. That means the system only will start uploading when one or two alarm events are detected, such as motion detected, external alarm detected. The IP camera or NVR will not continue uploading the snapshot or video to your ftp server. 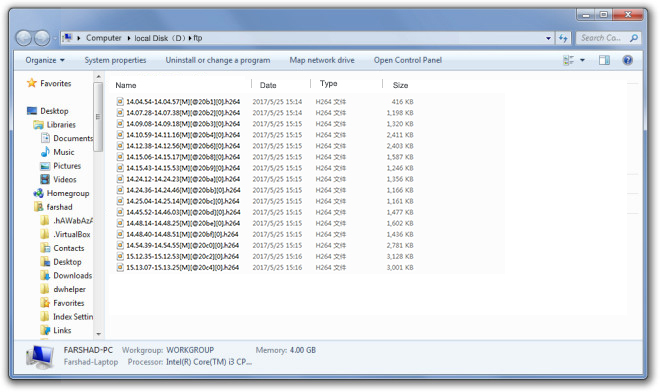 The snapshot or video will keep in your ftp folder, it can be backup for as long as you want. possible. Another solution is we could connect the camera to an external alarm such as door contact or PIR sensor, the email notification will be more accurate. Only these external alarm devices are triggered will make the camera send you an email. Redundant backup is your second plan to make sure the footage is available when the criminal case happens in the scene. Like what we said before, you never know how important until you need it.